It seems boring. Why should you make this treat with no chocolate? It also seems fussy at first glance. Again, do I have time for that with a kid around? Well, actually, it isn’t boring but deliciously buttery and vanilla-y, and it isn’t super fussy unless you want to make it that way. 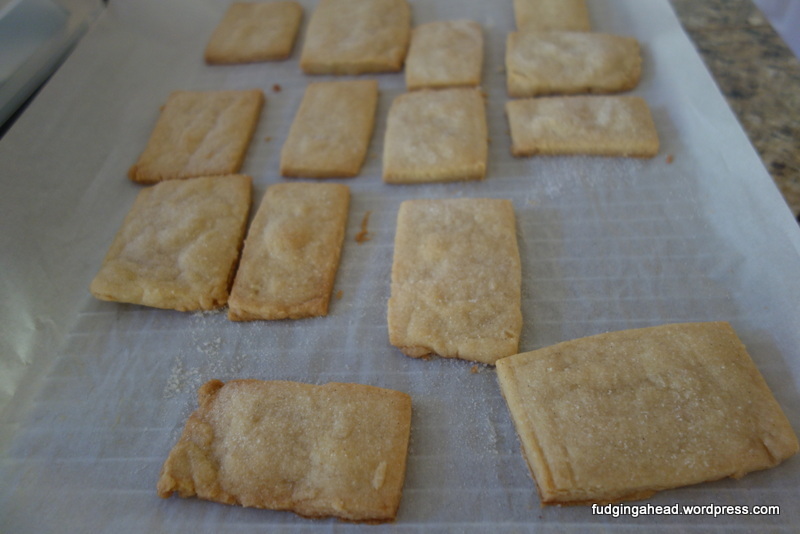 I made these as a surprise treat for my dad and they ended up on his favorites list! I told him I should have made more. I tasted one with the Fudgelet and we both wanted more! This was the recipe I made that made me want to have a kitchen ruler (I have one now), but you don’t need to be fussy with the measuring/etc. I left it out because honestly it was more convoluted than it needed to be. And the cookies were bigger than they needed to be, too. But, they were delicious, no matter the size or shape you choose. 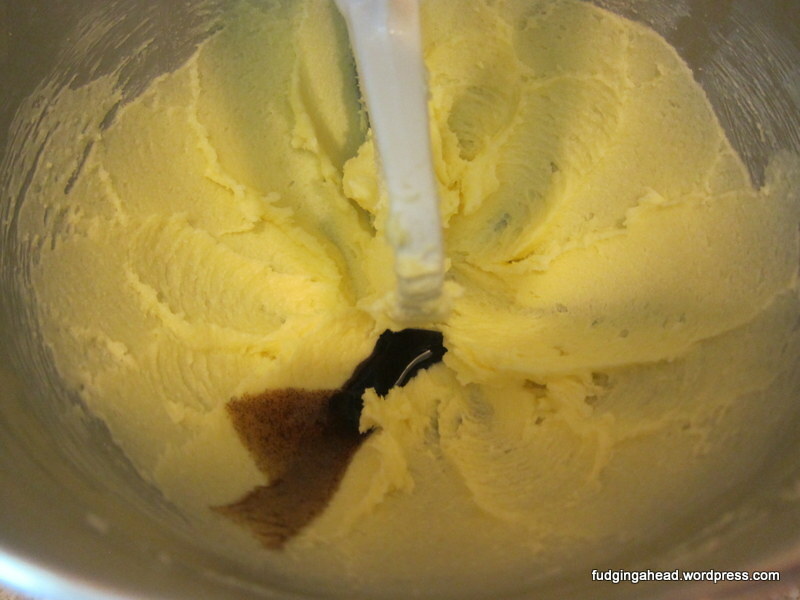 Use the paddle attachment for your stand mixer and beat the butter on medium speed until smooth. Add the 90 g of sugar and the salt, again mixing on medium speed. Mix until fluffy (about 2-3 minutes). 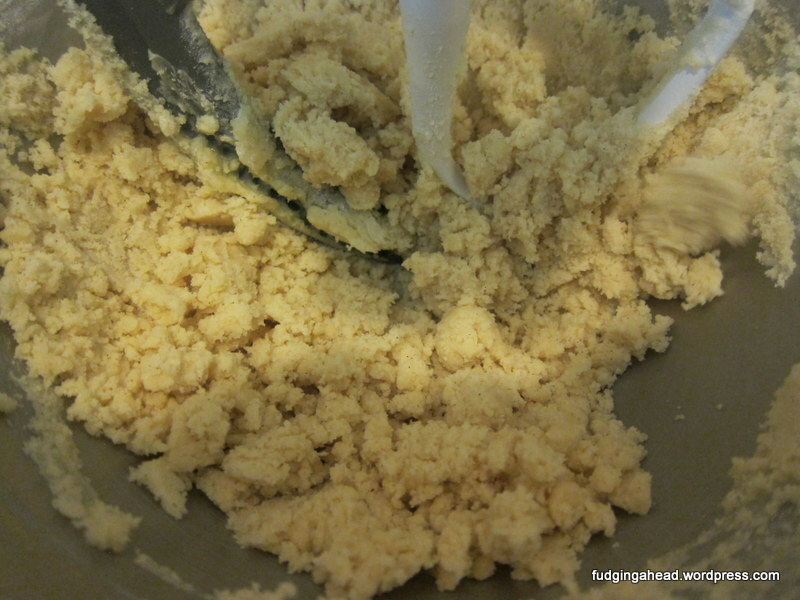 Scrape down the bowl halfway through and again before adding the vanilla and mixing on low speed to incorporate it. Add the flour in 2 batches, mixing on low speed for 15-30 seconds after each. Scrape down the bowl again. 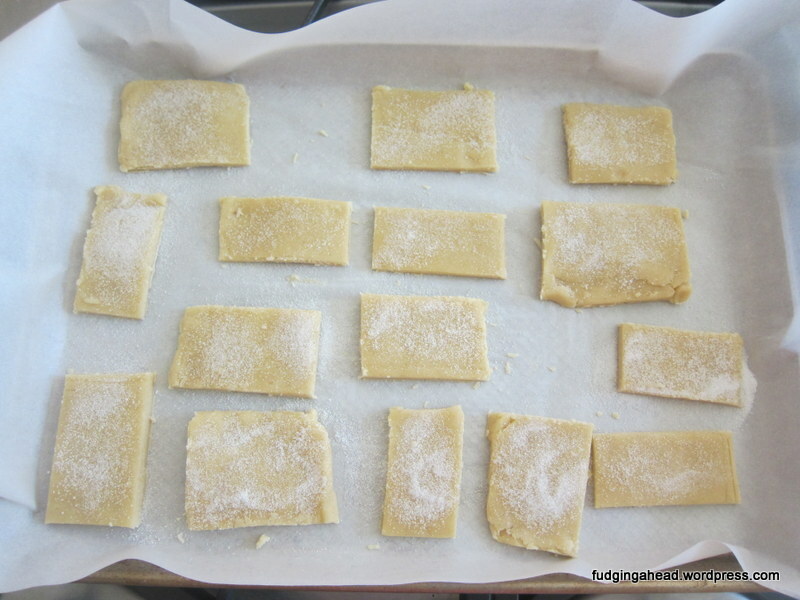 Preheat the dough to 325 degrees and line a baking sheet. 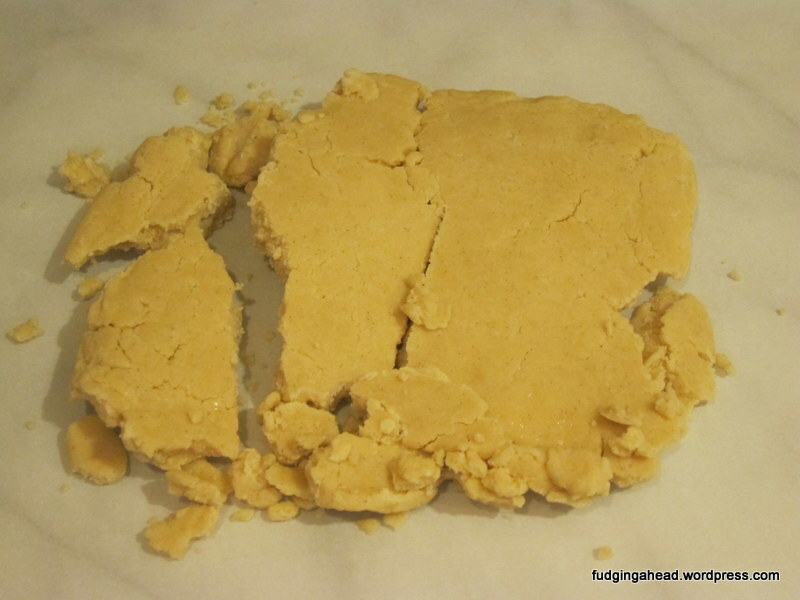 Place the dough between two pieces of parchment and flatten the dough by pounding it from left to right, then rotate a quarter turn and repeat. This is what happened with a long chill for me. 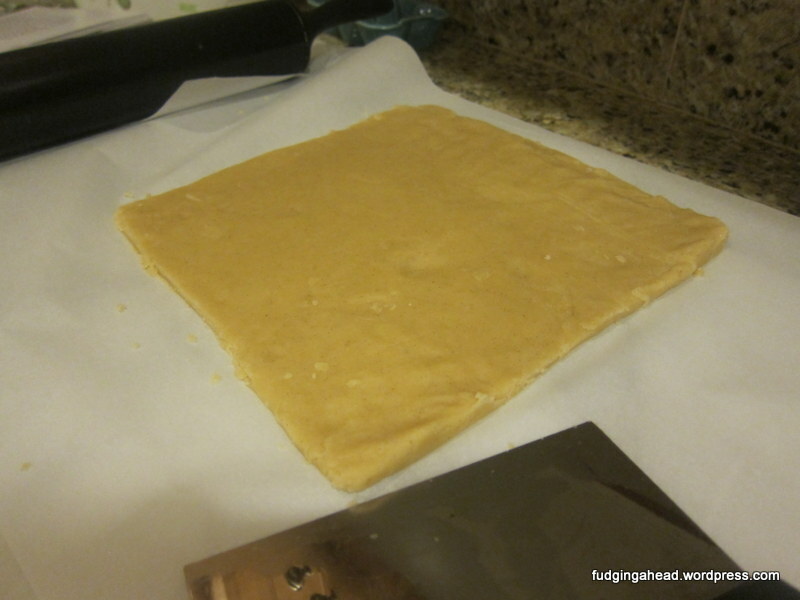 If you are having difficulty with the pounding, you can skip it and continue with the next step, which is to roll out the dough to a 9 inch square. At this point, if the dough is getting too soft, again, you can chill it briefly. Otherwise, continue. Cut out the cookies with a knife, as many as you like (about 24 was the original recipe, but they were a bit big). 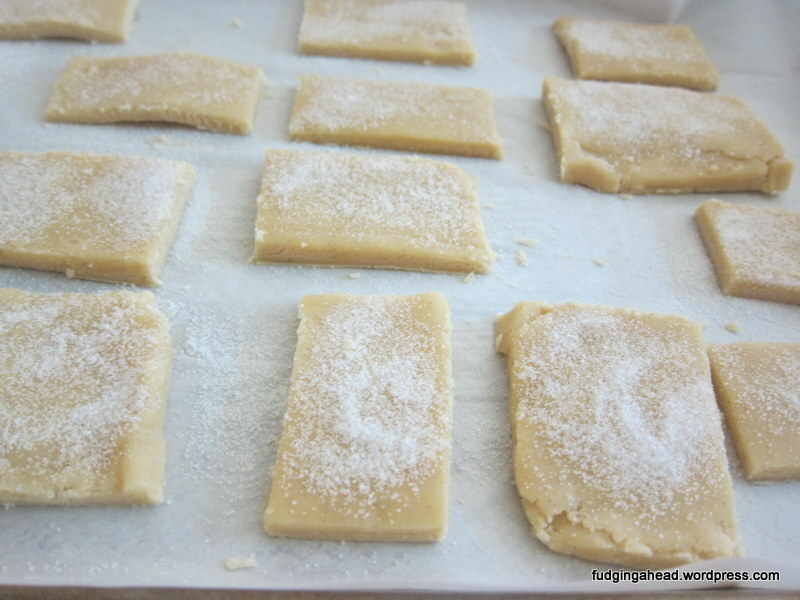 If the dough is cool to the touch, place the cookies on the baking sheet and sprinkle some granulated sugar on top. 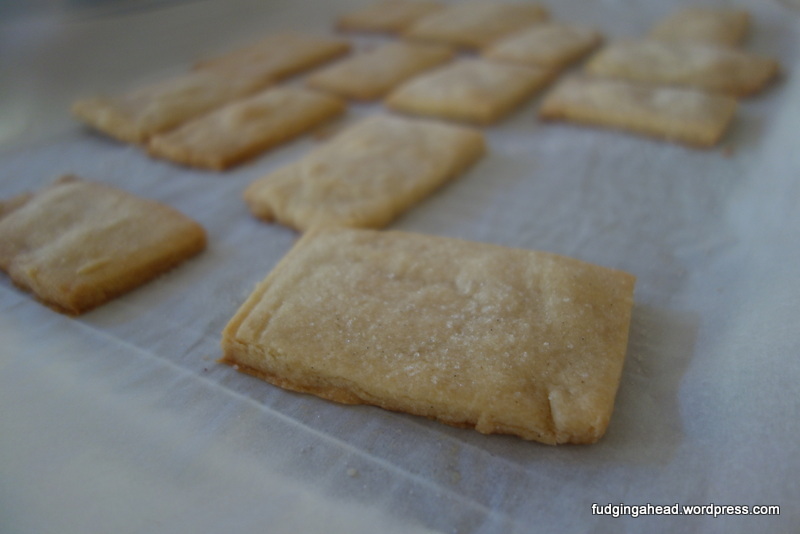 Leave a little space between the cookies and bake them until just barely browned (15-20 minutes). Rotate the pan halfway through baking. Let the cookies cool on the pan for 5-10 minutes then transfer them to a cooling rack to cool completely. 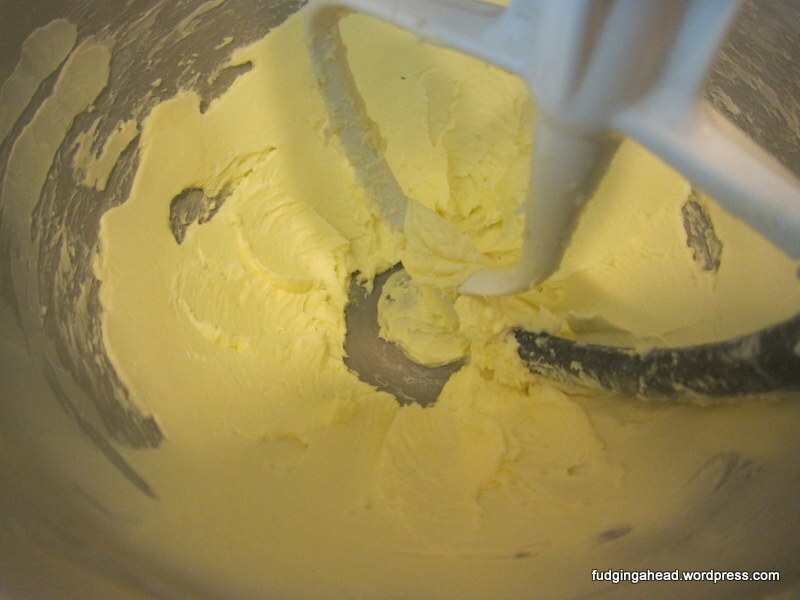 Use the paddle attachment for your stand mixer and beat the butter on medium speed until smooth. Add the 90 g of sugar and the salt, again mixing on medium speed. Mix until fluffy (about 2-3 minutes). 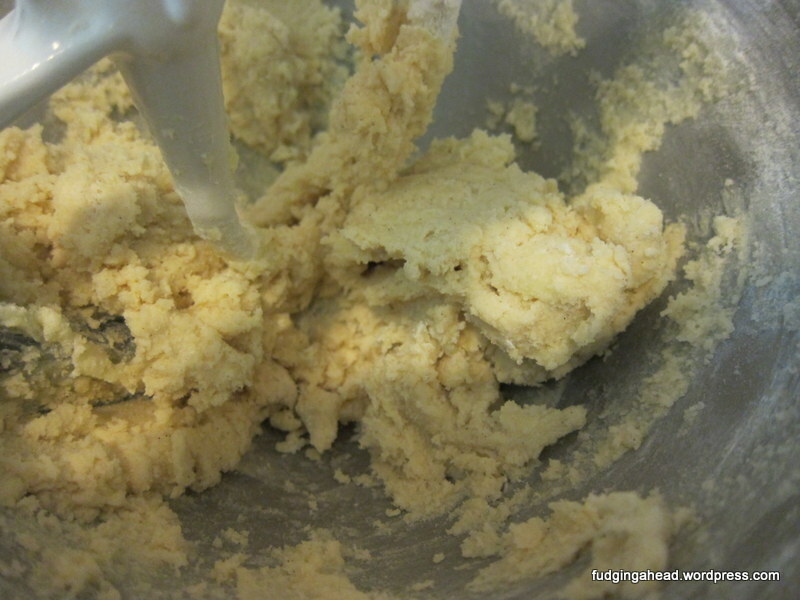 Scrape down the bowl halfway through and again before adding the vanilla and mixing on low speed to incorporate it. 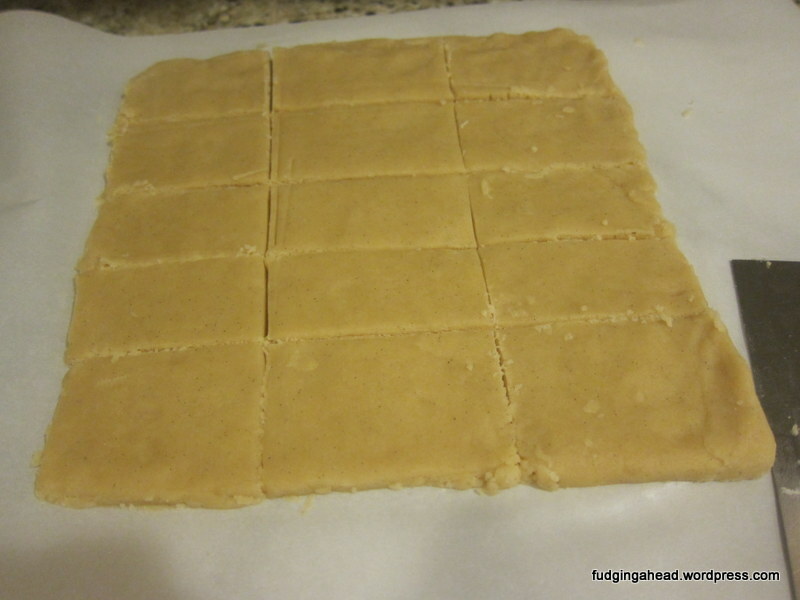 Preheat the dough to 325 degrees and line a baking sheet. 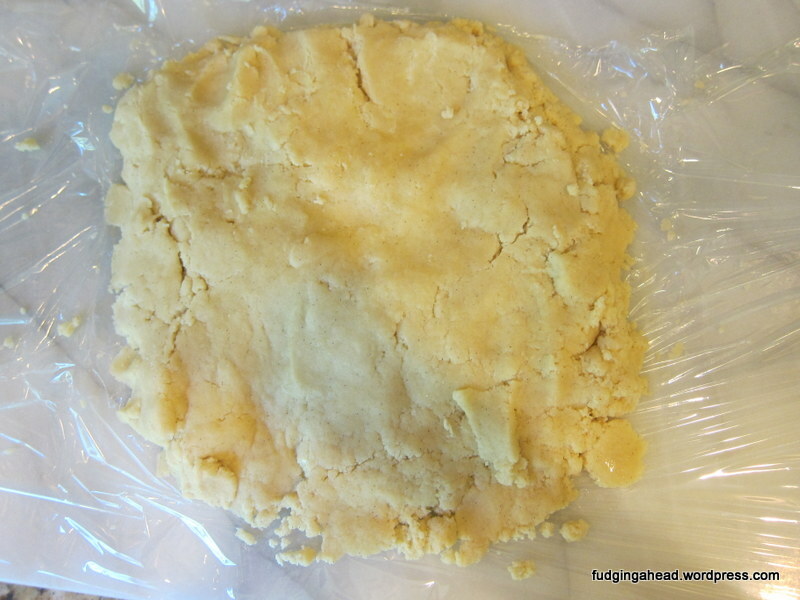 Place the dough between two pieces of parchment and flatten the dough by pounding it from left to right, then rotate a quarter turn and repeat. If you are having difficulty with the pounding, you can skip it and continue with the next step, which is to roll out the dough to a 9 inch square. At this point, if the dough is getting too soft, again, you can chill it briefly. Otherwise, continue. Cut out the cookies with a knife, as many as you like (about 24 was the original recipe, but they were a bit big). 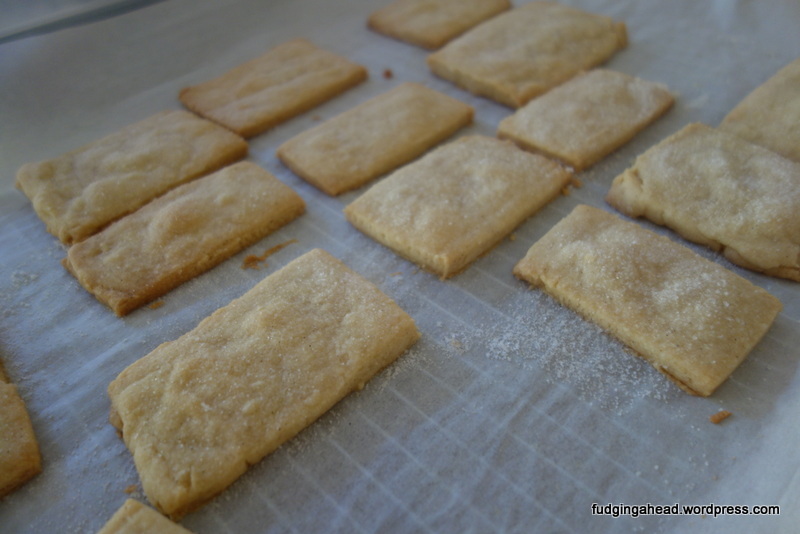 If the dough is cool to the touch, place the cookies on the baking sheet and sprinkle some granulated sugar on top. Leave a little space between the cookies and bake them until just barely browned (15-20 minutes). Rotate the pan halfway through baking. Let the cookies cool on the pan for 5-10 minutes then transfer them to a cooling rack to cool completely. I love shortbread! Thank you for the recipe. The only time I’ve made it, it turned out like a rock. I’m excited to try again.